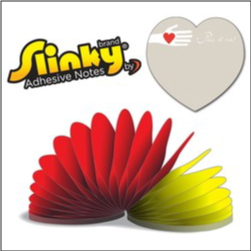 Order imprinted Custom Slinky(R) Heart Shape Sticky Notes – a fun little way to keep notes, recipe ideas, bookmarks, reminders, messages of love and support, and more! 100 colored sheets. 250 min. 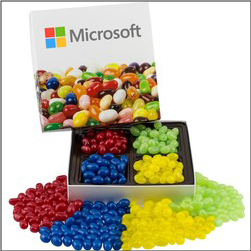 and ordered in increments of 250. Available in Red, Yellow, Black, Blue, White. Made in USA. Approx. 3inch x 3inch. 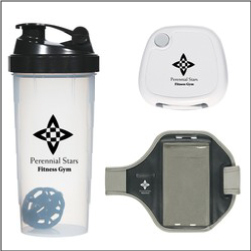 Great for healthcare, schools, support and fundraising functions, kids events, etc. 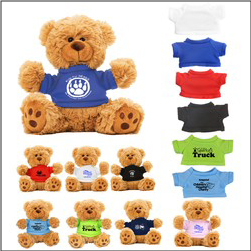 Order custom Teddy Bears with Imprinted Tee Shirts – perfect for healthcare and hospital giveaways, kids events, and more. These 6 inch plush Bears feature embroidered paws, and meet federal toy safety standards. These bears are very popular as new parent giveaways for hospitals, childrens business and event marketing, for use as school and booster club fundraisers, and more. Order Custom Teddy Bears today! 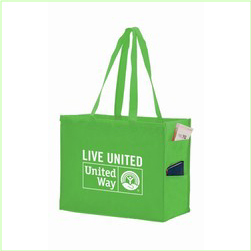 Printed Tote Bags with Pockets are great promotional marketing products for events and tradeshows. Offer an eco-friendly bag to your customers to help with shopping, holiday gifts, giveaways for a trade show event, and more. These durable and reusable bags are eco-friendly and tear resistant – Order your reusable marketing bags today! 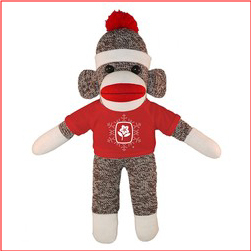 Order Custom Imprinted Sock Monkey promo items from Colorado Promotion today. These fun stuffed plush toy animals are perfect as a holiday gift giveaway, great for ski resorts, kids events, school boosters, and so much more. Original sock monkey style with promotional t-shirt – tee available in 18 different colors. 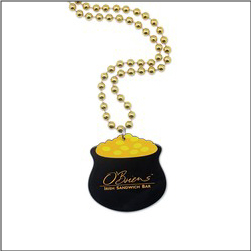 These affordable items are approx 10″ x 16″ and make a great promo item that many will enjoy! 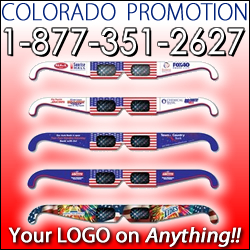 Patriotic 3D style Glasses are great for Fireworks Shows, Laser Light Displays, Concerts, and more. 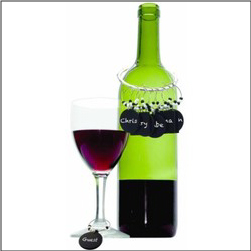 Perfect for Fourth of July, Memorial Day, Labor Day event celebrations etc. 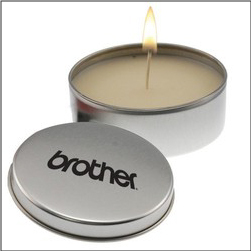 Ideal for fundraising for events, schools, sports teams, and more.